Cross and Cutlass: The Reckoning - Pre Release Party Day 3! 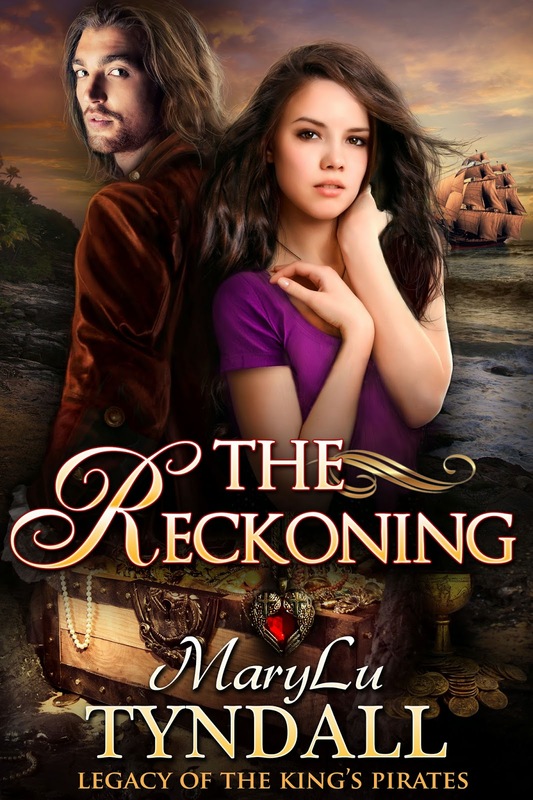 The Reckoning - Pre Release Party Day 3! The Reckoning Pre-Release Party Day 3! Happy Friday, everyone! Thank you for joining me in celebrating my new release, The Reckoning! First things first, last week's winner (chosen by Random.org) is Boos Mum!! Congratulations! And thank you all for entering. There are only two Fridays left for you to win a FREE paperback (US only) or Ebook (non US) The book is slated to release July 1st, but it looks like I'll have it all ready to release by June 21st!. In case you missed it, here's a bit about the story. The past two Fridays we learned about the heroine, Morgan Shaw and the hero, Rowan Dutton. Based on what you learned, this week you get to guess what the character will say next! He carried her down the ladder and through the companionway, then kicked open the door and set her down in his cabin. Her face had turned the most adorable shade of red. "You could have just asked me to come with you instead of carrying me down here like a sack of potatoes." "What fun in that, Lady Minx?" She narrowed those green eyes of hers. "What do you want, Captain? This is no way to win my heart. Isn't that your next play?" He chuckled. "Alack, if I wished to win your heart, it would already be mine." "Is that so? Alack," she mocked him, "I see your ego exceeds your brains." "Faith now! Such wit!" He'd never been thus insulted by a common wench. He should be angry. He should lock her up below again or, better yet, stuff a handkerchief in her mouth. But instead, he found himself utterly amused. "Alas, though this lovely gown has formed a lady on the outside, I regret to discover it has had no effect on her tongue." With a dismissive huff, she walked to the bookcases and began pulling out books and then putting them back. "That's right. How could I forget? Women don't have a mind of their own in your time." "Most have a mind, I'll grant you, but a sane one." "Very funny." She stepped back to admire her work, and only then did Rowan notice she was lining up his books in a perfect row from shortest to tallest. The grating of the anchor chain rumbled, followed by a splash, and the ship came to a halt. She stumbled and gripped the back of a chair. "What is it you wanted to tell me, anyway?" "We are to go ashore for a few days." He moved to his cabinet and began gathering his weapons: two pistols, a long knife, shot and powder, and an extra cutlass. He would need them to not only defend this woman's purity, but her life as well should she use her biting tongue on one of his crew. "'Twill not be the most comfortable situation for you, but there's naught to be done about it." When he turned around she was moving his backstaff back and forth on his desk, lining it up with his journal. A little shove here, a little shift there, before she stepped back to assess her progress. "You really are a slob, you know." Her gaze landed on the weapons in his hands, and her brows jerked upward. "Has my father staged a battle?" She started for the windows, but tripped on her skirts. With an unladylike growl, she clutched them and continued, climbing onto the window seat and peering at the island bobbing in and out of view. "Tell me we are at the end of this ridiculous act and there is a boat waiting to take me home." Rowan stuffed pistols in his baldric and sheaved the blades, not bothering to make sense of the lady's words. "This is the only ship available, and it will take you where I say it will. I am the captain, you are a thief. Ergo, you will do as I say." "Ergo?" She giggled and glanced over her shoulder, then plopped down on the seat like a little girl, her skirts puffing in a cloud around her. A rather adorable thief at the moment. Rowan swallowed. "Very well. Let's get on with it--whatever my father has paid you to do. What day is it anyway? If I was out cold for a day, it's probably Monday, right? Maybe Tuesday." Her face paled. "Father!" she shouted into the air. "You do know that I have a doctor's appointment on Tuesday!" Nick appeared in the doorway, a chart in hand. "Captain, a minute." Rowan thanked the fates for the interruption, for he was beginning to question his own sanity. Assuring himself he'd left no weapons lying around, he approached his friend and attempted to pay attention as his quartermaster informed him of their exact location. Movement behind him--shuffling, banging, sighing--caused his frustration to rise, and he spun to find the minx pilfering through his desk drawers. Pilfering and yet straightening his belongings at the same time. "Are you now to steal my possessions right in front of me?" He charged toward her and stayed her hand. Now, what do you think Morgan says in return? Leave a comment below with your answer and your email and I'll reveal the answer next week, along with the winner! A. "Get your hands off me, you filthy pirate!" B. "If you touch me again, I'll tell my father and he'll fire you!" C. "Says the pirate." She arched a brow at him. D. She shrank back. "Please don't hurt me. I promise to behave." My answer is C.....love the dialogue between Morgan and Rowan, good stuff! Congrats to all the winners so far and thanks for the giveaway, MaryLu! What a tease you are, Mrs. Tyndall! As if I my patience weren't stretched enough in waiting for this book, you dabble this morsel in front of me....EGADS! My answer is letter C since Morgan seems to give as good as she gets. Hmm...I'd have to go with option C, as well. Love the dialogue; can't wait to read the book! I'd have to say C also. What a delightful except - this had me smiling just imagining this verbal exchange!! The answer has to be "B" - I feel!! Can't wait to read more of this exciting, unusual, romantic and inspiring story - thank you, MaryLu!! "Says the pirate", what a great line! rmane(at)firstarpchurch(dot)org. Answer C is great! Love reading your books! It's hard to decided whether she'd say B or C, but I think I'll go with B. This sounds like a great book that will be very fun to read. Love that story line! I'd pick C. "Says the pirate." She arched a brow at him. Tantalizing excerpt! My answer is C. "Says the pirate." She arched a brow at him. It has to be C! Love it! Danandlyndaedwards (at) msn (dot) com. Cannot wait to read this. You got me hooked :). Thank you all so much for your comments and excitement!! And your guesses! It's fun to see what people think... :-) Have a great weekend! This is an awesome set of dialogue! I really really want to read the book!! Hope I win :). My guess is the feisty answer of C.
Oh, this is great! It's so hilarious the way she's organizing everything :D I think what she would say next is option B.